There are many variations of combat boots, so if you are going to jump ship and purchase them go for real leather (if you can afford it) not faux. Real leather boots after a few wears will begin to look distress = looking even more cooler. 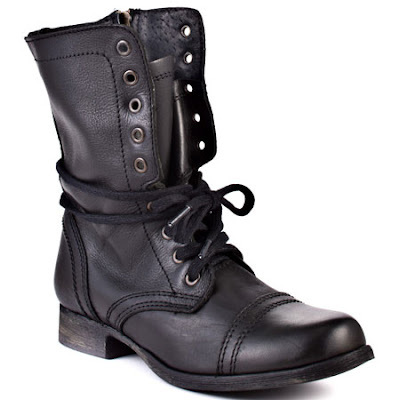 Anyway, these Steve Madden combat boots are pretty dope and less than $100. Which do you prefer UGGs or combat boots?